Samsung trying to retain its kingdom in Market so company is launching the smartphone back to back specially under the mid-range. We are going to point out the Advantages and Disadvantages of Samsung Galaxy On Nxt with a short review. This handset is little up-gradation over the Galaxy J7 Prime. 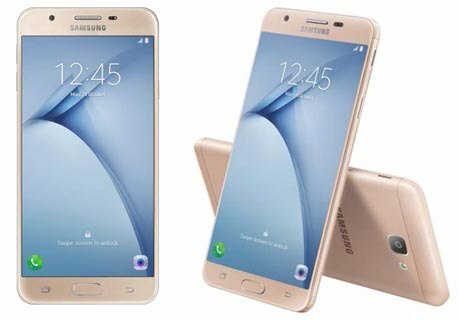 Galaxy On Nxt is featuring 5.5 TFT Display, Exynos 1.6 GHz octa-core processor, 13 MP primary | 8 MP secondary camera, 32 GB Internal | 256 GB SD card slot, 3 GB RAM and 3300 mAh Battery. It is really praiseworthy the way phone is designed, Metallic body covering the rear and 2.5D glass covering the front with round edge made it premium looking gadget. Fingerprint scanner is integrated with the home button. There is dedicated card slot for SIM 2 and these slots are located on Left edge with volume buttons while Single power button placed on right edge. Bottom carry a USB type-C charger and 3.5mm audio jack. Samsung is marketing phone with Super AMOLED display even in entry level phone but in this handset they are offering TFT Display which is not vibrant and crisp as AMOLED, although it is quite pleasant for looking at the video and image content whatever you through on it. It has Full HD 1080p resolutions with 423ppi display density, Phone lacks the Ambient Light Sensor so the Auto-brightness will not work, however manually you can change it. All the processes of phone is handled by the Exynos 7870 Octa, in this mobile 3 GB RAM and 1.6 GHz Octa-core CPU makes a good combo to handle the most of the tasks with ease. This phone is not made for the high end games but moderate games can be played easily. Operating for the day to day tasks phone doesn't show any kind of sluggish behavior. It is really panic for us to have a very average camera in a Samsung phone in 2016 which is costing around ₹ 18500 in India. This gadget actually performs well in presence of abundant light however, colors look washed out and in low light the noise can be observed while taking photographs. 8 MP camera is lacking front flash as it is present in Galaxy J7 version, even after you can take efficient photos from this secondary camera. However the company has provided 3300 mAh battery in this handset but there is an issue prevailing in this phone, the quick draining of the battery in short time. In this case company claims S Power Planning can be helpful to smartly manage the battery with features like Reserve Battery. Dedicated slot for SIM 2 is available. Camera is mediocre, not so crisp. Although phone is FHD but missing sAMOLED display.